Construction cost estimating is an important and major part of any construction project. To improve your estimating skills, you must first understand that each project is different and no two are identical. 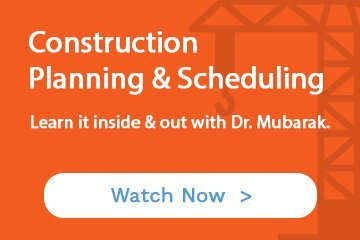 Dr. Saleh Mubarak, expert on Construction planning and scheduling discussed the most common construction cost estimating mistakes that are being made and how you can avoid them during a broadcast with Plan Academy. Some cost estimating mistakes can seem insignificant, but can turn out to be the most catastrophic when investigated. To help you avoid and prepare for these mistakes I’ve highlighted below 3 of Dr. Saleh Mubarak’s common cost estimating mistakes and how to remedy them. Mistake #1: Failure to apply common sense judgement on numbers produced by self or others. People tend to depend on machines/technology to answer questions, which may, at times, produce an incorrect answer. This inaccuracy is usually not questioned or noticed because it was calculated by a machine that is assumed to have the correct outputs at all time. We blindly trust the computers outputs. We don’t use our heads anymore to memorize. In this day and age, everything is right at our finger tips (stored on our mobile phones). We all make mistakes, and nothing is wrong with that but being aware of these little anomalies can help in the long run. Remedy: Always work on your “math intuition” and “educated common sense” judgement. An example to help you strengthen your “math intuition” or “educated common sense” is grocery shopping. When you buy 40 items try to estimate how much you must pay before you go to the cash. When estimating area, use a second approach: calculate the cost per square foot (or meter) or cost per unit. Do the answers make sense? Always test and challenge yourself with flash cards for mental stimulation. Physical and mental skills can be maintained and always improved. Mistake #2: Failure to predict and calculate cash flow. Cash flow is vital. Most failures of construction companies are the result of financial mismanagement. It’s not only how much, but when (timing) as well. You should know by month what’s coming in and what’s going out. The ‘time-value’ of money. In most cases, your borrowing money so you should have knowledge of the interest and what you need to charge yourself. How to go about using a line of credit. Know that you will be in debt up to a point and the banks won’t give a loan anymore – need to know what the maximum debt you’ll be in. How the changes/acceleration on the cash flow will impact your project. When a project is sped up, you would pay more money in less time, so the cash flow may increase. Mistake: The cost was over-run and delayed payments were made by clients. This is a typical case of lingering financial issues and increasing in debt until you can no longer borrow and/or afford the payments. Remedy for Carillion: Cost control. Know what your spending vs. how much you’re suppose to spend. 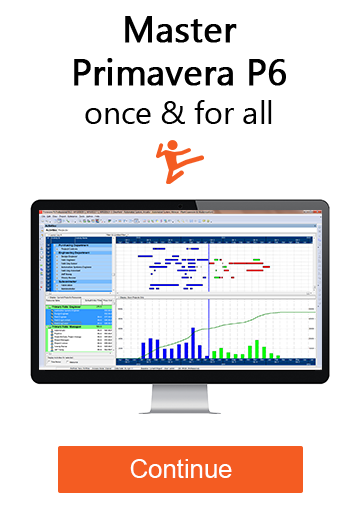 Remedy: Work with the scheduling department on preparing cash flow diagrams and make sure they stay up to date. Have red and yellow flags that note these issued and make it a note to inform management of these so it can be fixed sooner than later. Mistake #3: Failing to make appropriate adjustments to the unit cost number. Regardless of the type of database that is being used and/or who owns it, the numbers must be constantly adjusted depending on factors such as location, time of the year, season, climate, size of project and complexity of design. There is also productivity changes that need to be investigated that can impacts the durations. Different adjustments apply to materials, labour, equipment, and overhead. For example, in a very hot/cold weather, you need to adjust productivity (labour + equipment) but not materials cost. Remedy: Make sure accurate adjustments are being applied to each project separately. You shouldn’t assume errors or successes, always check the unit price for each. For example, some countries that require you to import equipment’s may create an issue due to pricing, location, shipping etc. For more details, exercises and the remaining 3 cost estimating mistakes and remedies, click here to watch the webinar. What are your thoughts on these mistakes? Have you ran into any of them before and what did you do to remedy the problem? 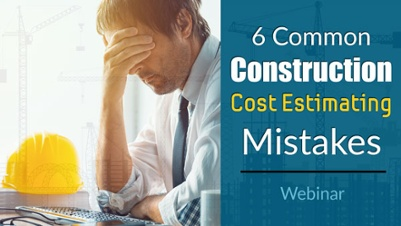 Will you start taking these mistakes into consideration so you can avoid inaccurate construction cost estimates?